Please be re-assured that we cover e-safety with the children continually in school. 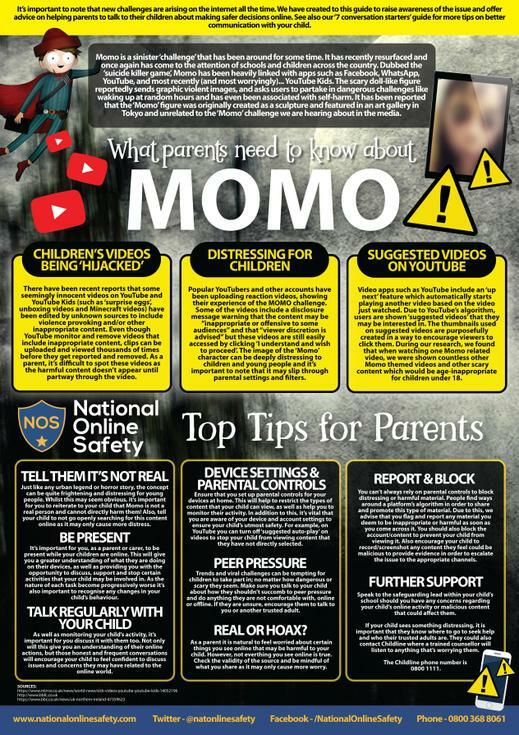 However, the worrying news relating to the Momo Challenge - is something you may wish to talk to your child about specifically. Please find an information leaflet for parents to help with this discussion.